Results of the meta-analysis of all the studies. 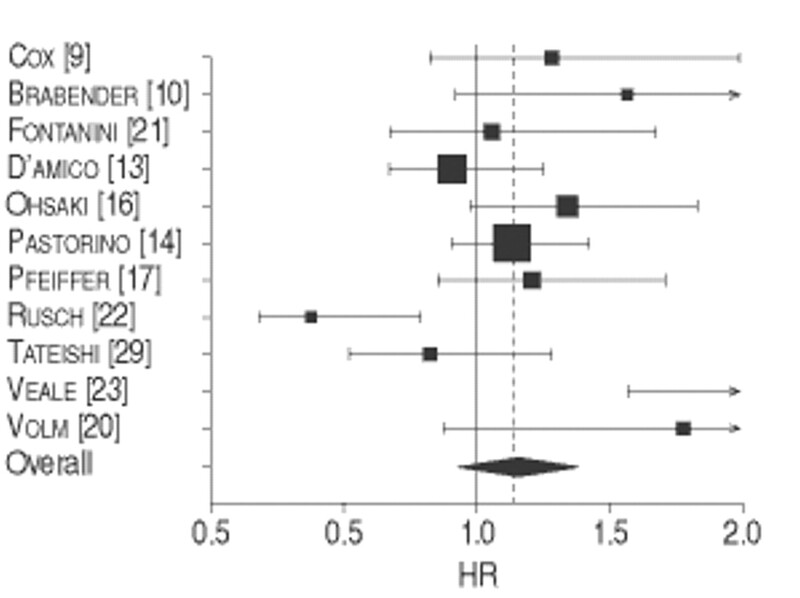 A hazard ratio (HR) of <1 (–) implies a survival benefit for the group with epidermal growth factor receptor expression. The square size is proportional to the number of patients included in each study. The centre of the lozenge gives the combined HR for the meta-analysis and its extremities the 95% confidence interval. Results of the meta-analysis of the studies using immunohistochemistry to detect epidermal growth factor receptor (EGF-R) expression in nonsmall-cell lung cancer. 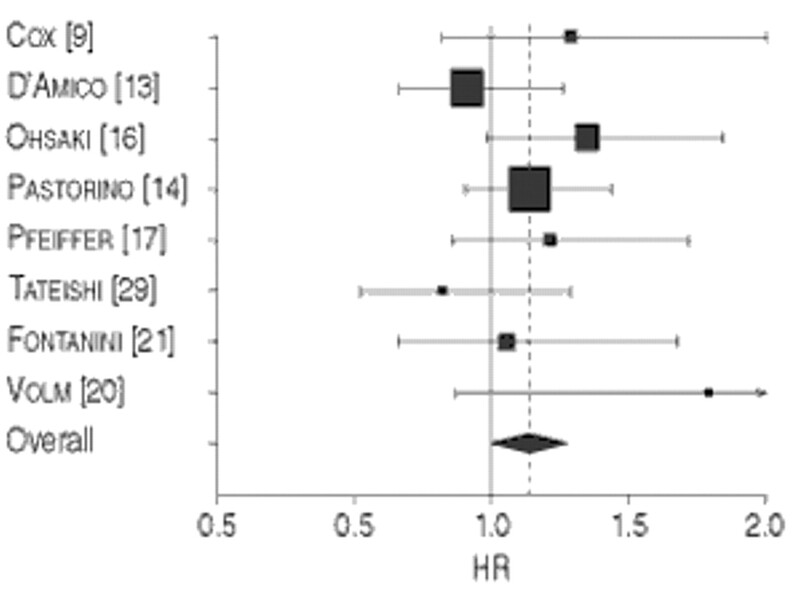 A hazard ratio (HR) of <1 (–) implies a survival benefit for the group with EGF-R expression. The square size is proportional to the number of patients included in each study. The centre of the lozenge gives the combined HR for the meta-analysis and its extremities the 95% confidence interval.